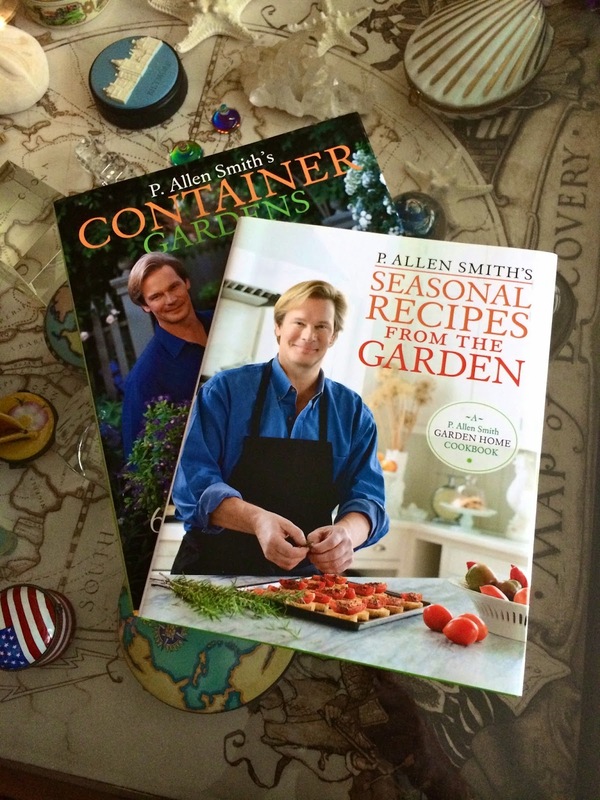 From Captain's Daughter to Army Mom: Lunch and Garden Talk with P. Allen Smith... And, a Give-away! 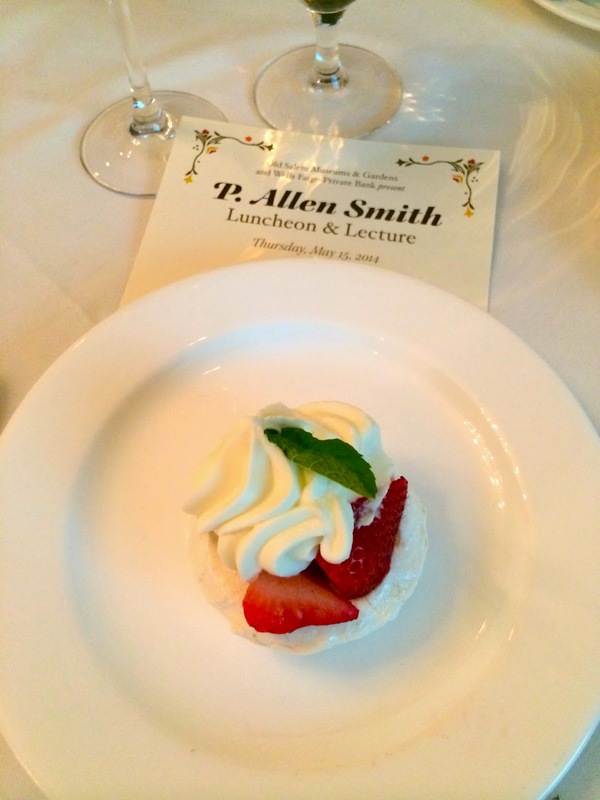 Lunch and Garden Talk with P. Allen Smith... And, a Give-away! 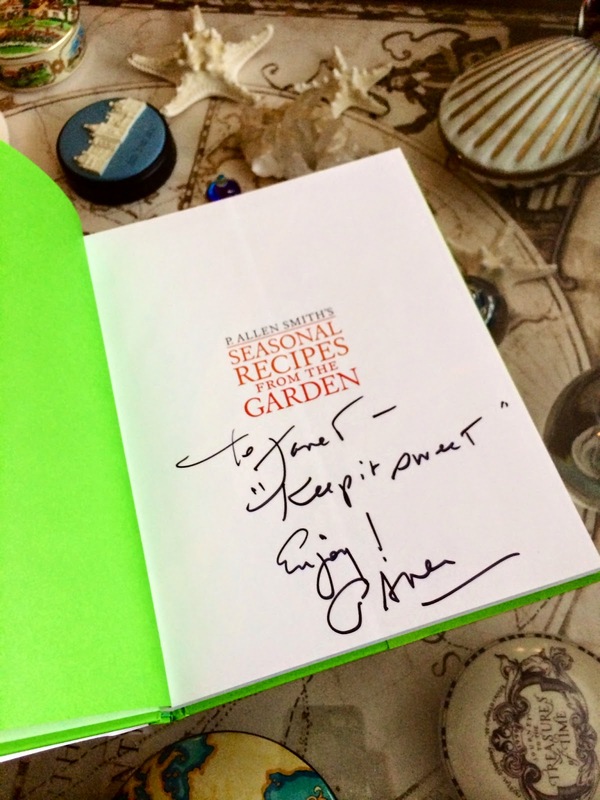 as, P. Allen Smith, The Beekman Boys and Martha Stewart! because they were featured either on Allen's show or in one of his books! 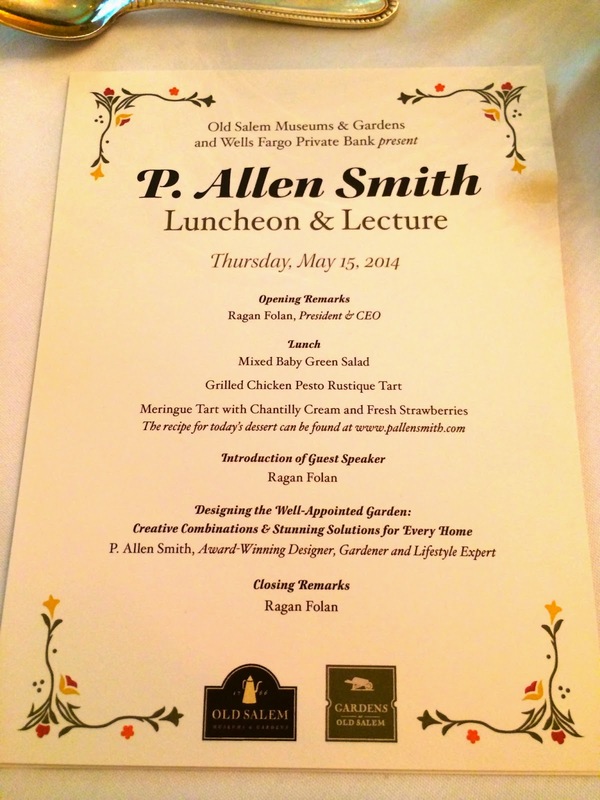 given by Old Salem Museums and Gardens this afternoon, we were there! 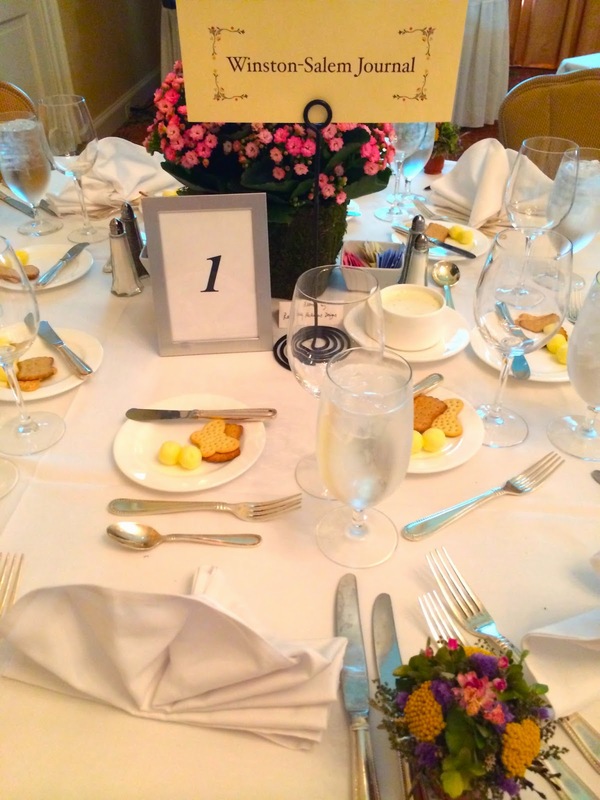 seated at the table sponsored by the Journal with really lovely company! a complementary copy of Allen's book - Thanks, W-S Journal! 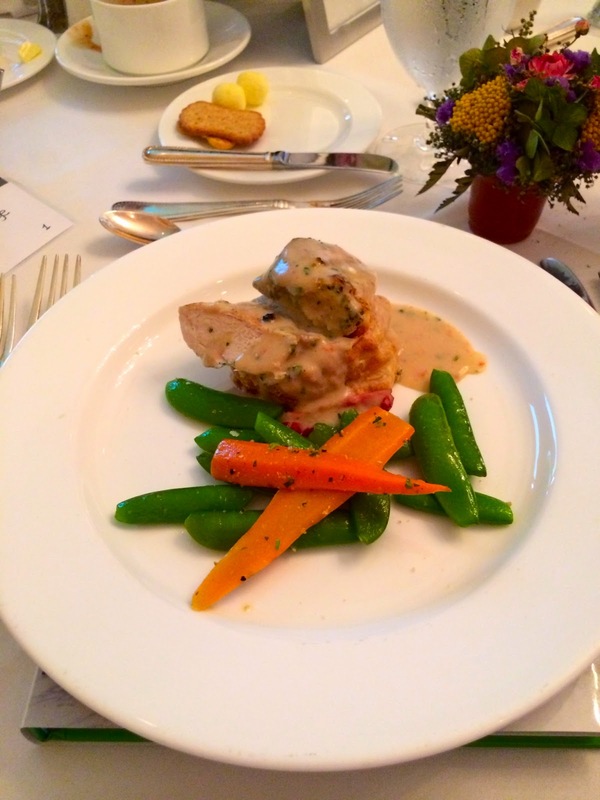 The Forsyth County Country Club chefs outdid themselves! 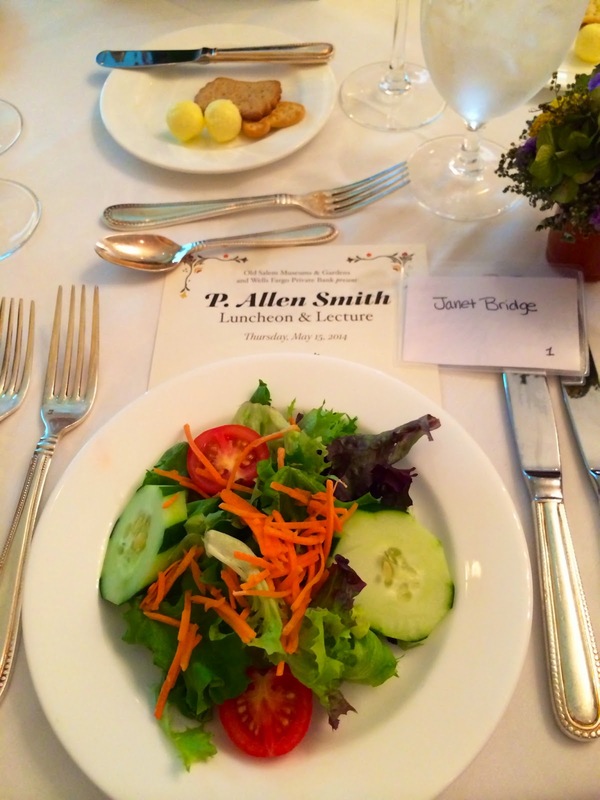 lunch with P. Allen Smith, I would have thought you were nuts! fantastic! I think I fell in love with him a little more than I already was! At the end of his lecture, Allen stayed to sign books! can often be seen trying to horn in on Allen's scenes during his show! 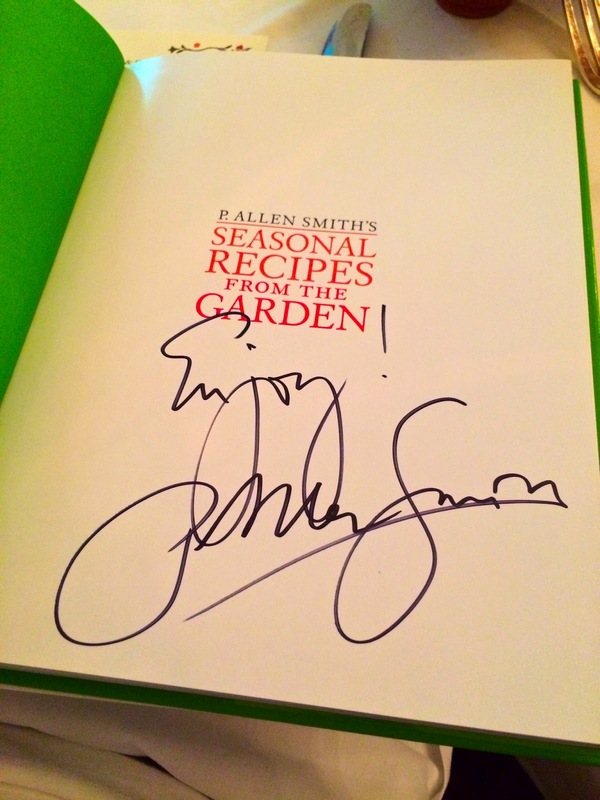 Seasonal Recipes from the Garden to add to my collection! 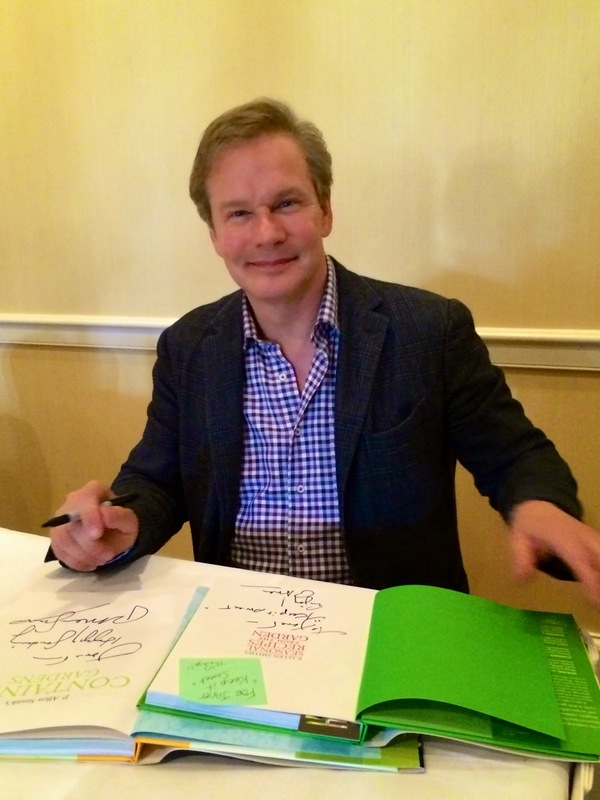 This way, I can have P. Allen Smith in my gardens and in my kitchen! 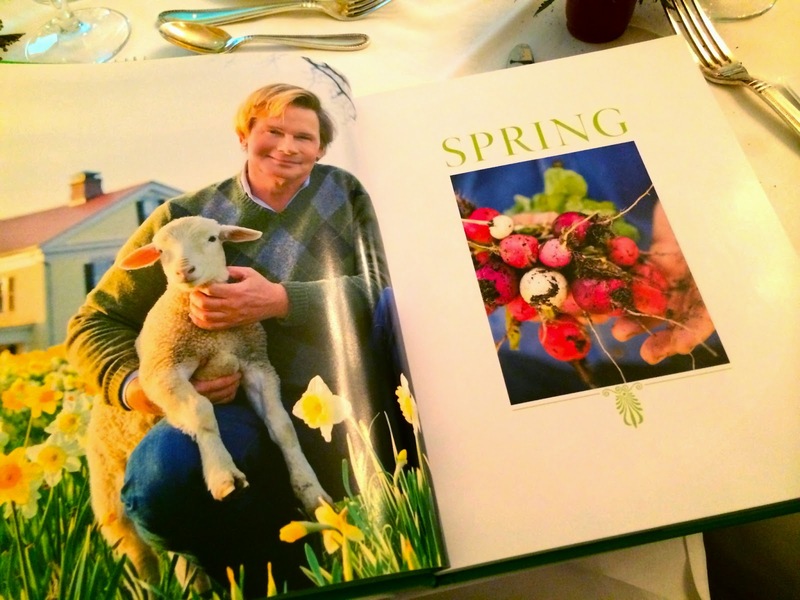 It's a beautiful book with recipes from the garden for every season! 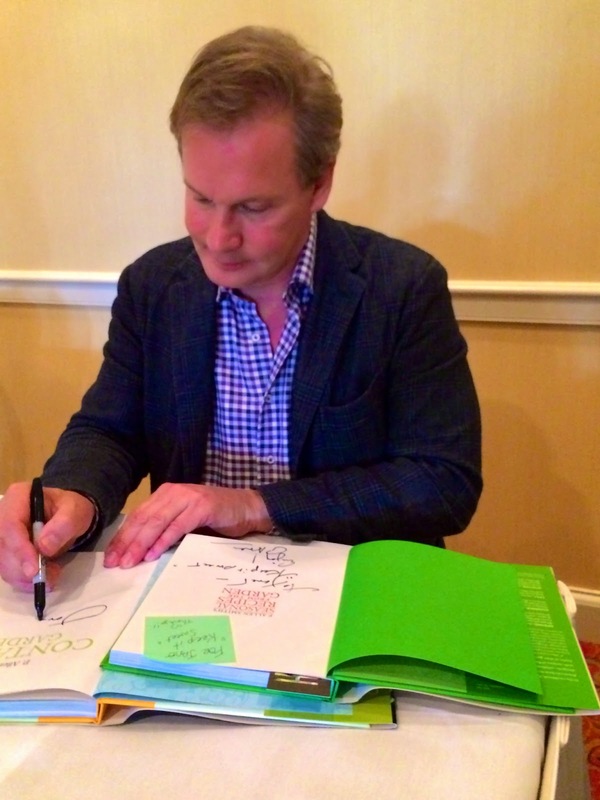 Just like us, P. Allen Smith is the perfect marriage of garden and home! And, just because I love you, I want you to have a copy of this book too! winner on Sunday and even include the program from today's lunch! I do my best work in the kitchen when the weather is cold and messy. But, when spring arrives, I could stay outside all day. There is always a weed to pull, a flower to pick, or a bulb to plant. As a transplant from the Midwest to Phoenix, I'm still learning desert gardening, so I'd have to say kitchen. But love them both and am so thrilled with being introduced to him by you! Thank you, Thank you!! Thank you for sharing the highlights of your wonderful day! I definitely do my best work in the kitchen. My Grandfather was a Master Gardener. My father had his own Landscaping business for 30 years. You would think that I would have that gift, but no! I kill everything! i can't even grow herbs! I love working in the kitchen. I grew up working in the kitchen with my Italian aunt. It was so much fun cooking and listening to her stories about her childhood in Italy. She told me to always put my love for the family in everything that I fixed. Both! And I hope to get unpacked and back in the kitchen soon! I do my best work in the kitchen. I leave the garden for "him" but I do love to fill the water fountain with fresh water for the birds. Ha! They think it's a birdbath. Good morning. I get most satisfaction from both. The kitchen because that is where I prepare meals for my family and I get my children involved. Colin 4 helps me measure and mix Fiona 2 helps mix the oatmeal. The garden brings me pleasure because growing up I killed all my plants with too much love-I over watered. When I moved into a house a couple of years ago I set out to get a green thumb. By educating myself I have been able to learn how to properly take care and grow my plants. I keep reading and learning to improve. I will now look to see where Mr Smith is appearing next!! Am I ever jealous! 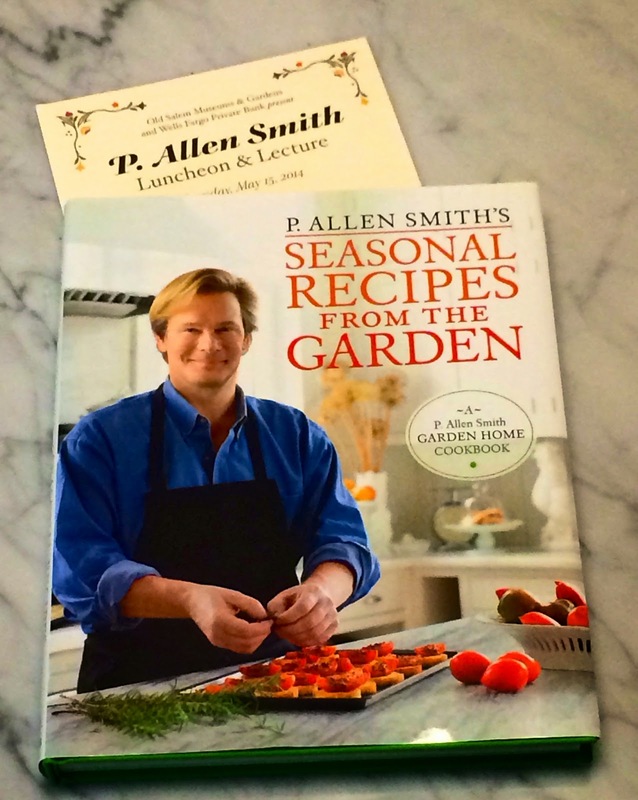 To meet P. Allen Smith & get a signed copy of his book in addition to going to the luncheon & Lecture - Wow!! I have several gardening books & container gardening "seasonal planting" cards by him - excellent. My husband, David, is the chef of the house & I'm the gardener. Together we make a wonderful pair. Thanks for sharing this wonderful experience with us & the opportunity to possibly win his book & the program from the Luncheon & Lecture. You are the best & you always keep it Sweet!!! I'm much better in the kitchen, but working on expanding into the garden this year!